2. Walk on a Pier. 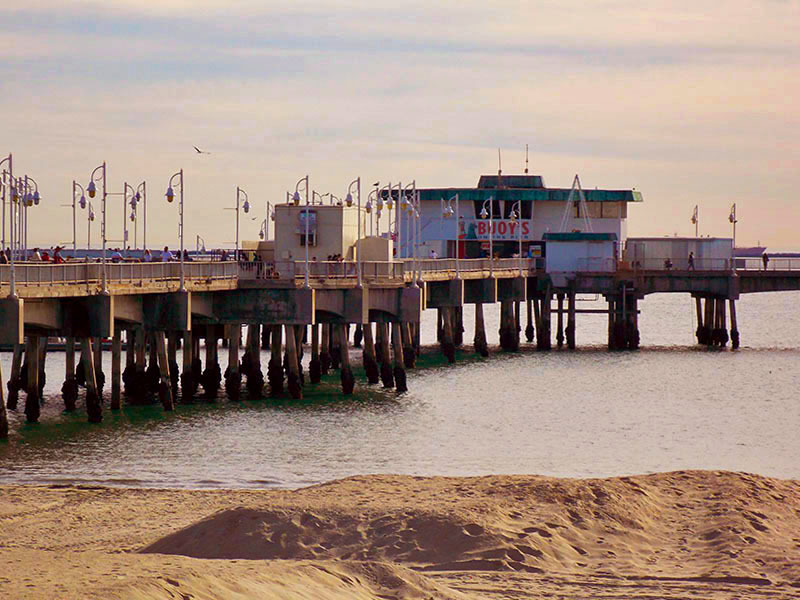 As I sifted through my photos of piers, I suddenly realized how many piers there actually are in California. Although I haven’t seen them all, I have seen quite a few. 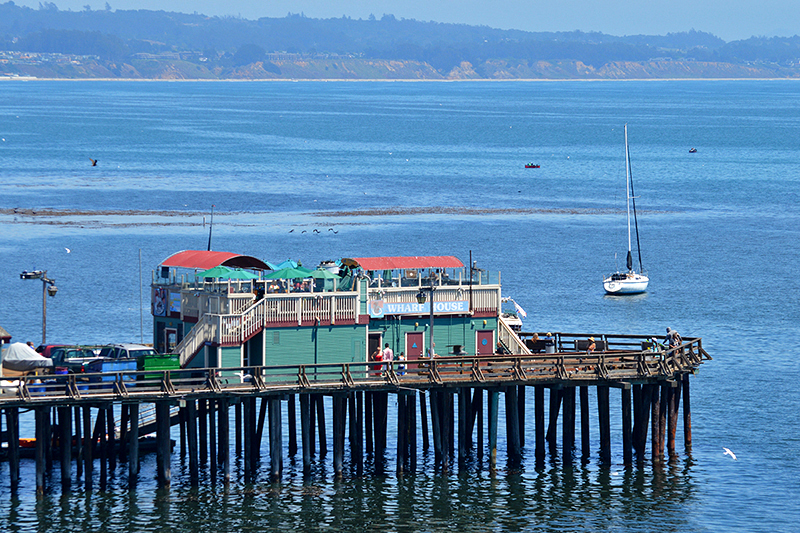 The pier in the quaint town of Capitola, Central California. I love piers. Other than a boat, it is the only place you can walk over water and enjoy a 360 degree view of the ocean as well as the land. 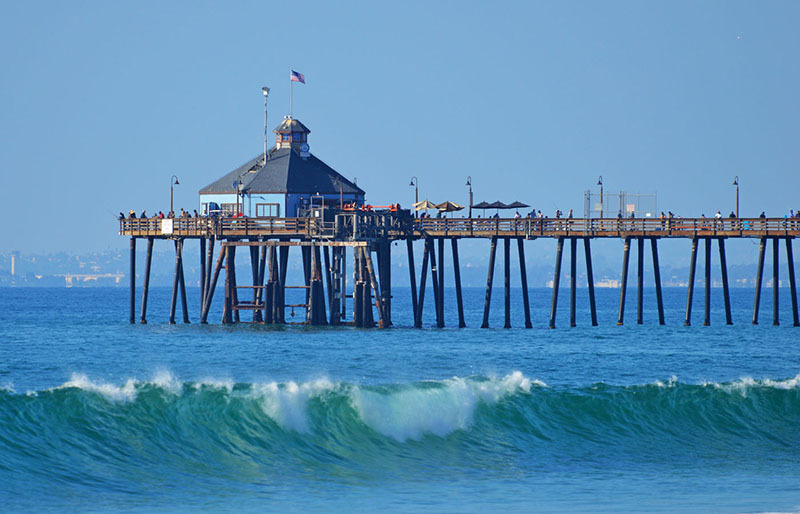 Surf Town USA, Huntington Beach Pier on an uncrowded week day. The next city over from Huntington, Newport Beach Pier. 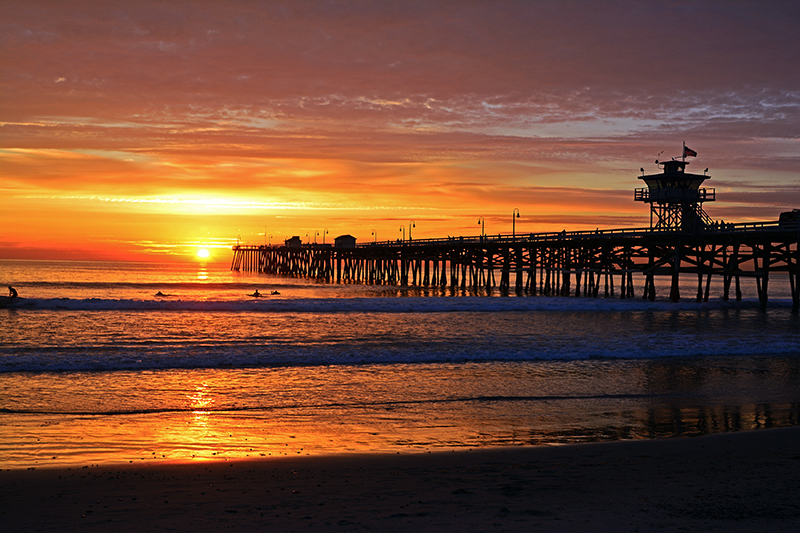 There are so many different types of piers in California. Go back in time while exploring the Veterans Memorial Pier at Belmont Shores in Long Beach, ride a roller coaster on the Santa Monica Pier, feed a pelican on the Oceanside Pier, shop and enjoy your favorite seafood at Redondo Pier, hear and see the sea lions on Santa Cruz Wharf, or enjoy a peaceful stroll on San Simeon Pier with only a handful of people. 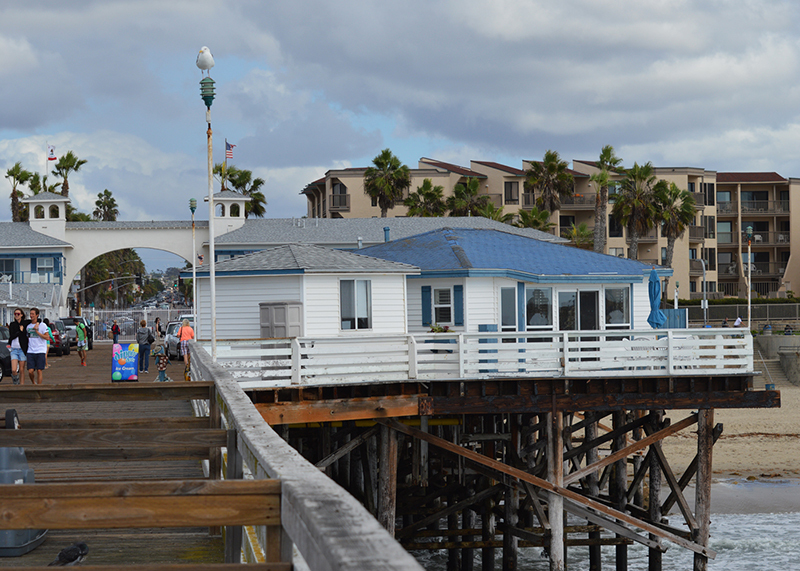 The old school, Veterans Memorial Pier in Long Beach. 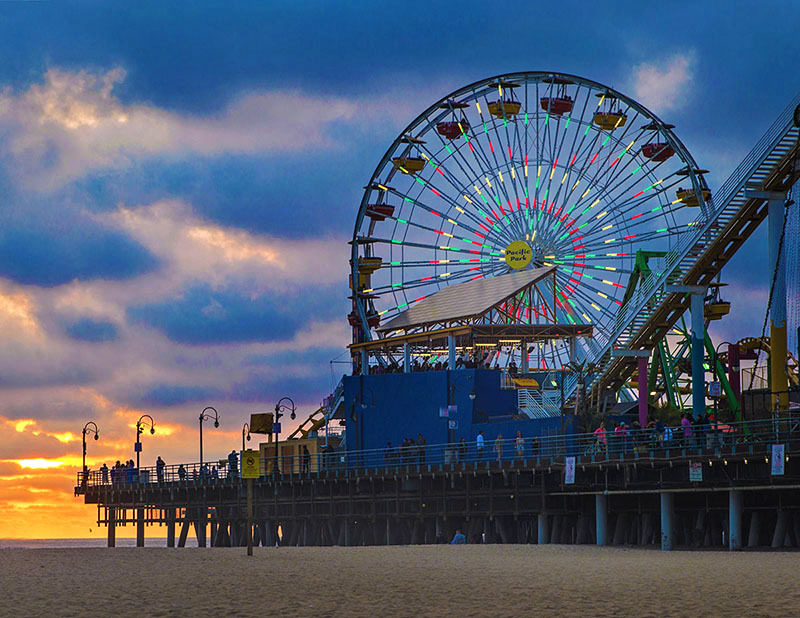 Ride a roller coaster on Santa Monica Pier. 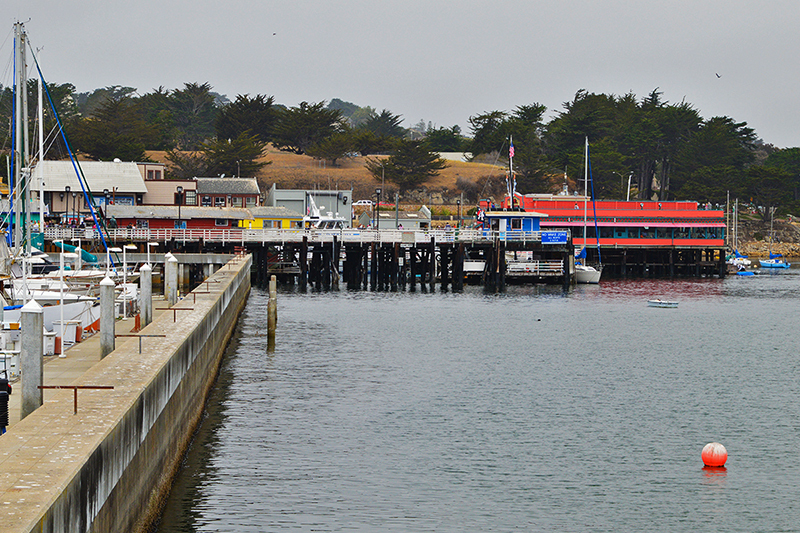 This is just one angle, there is more pier around the corner. 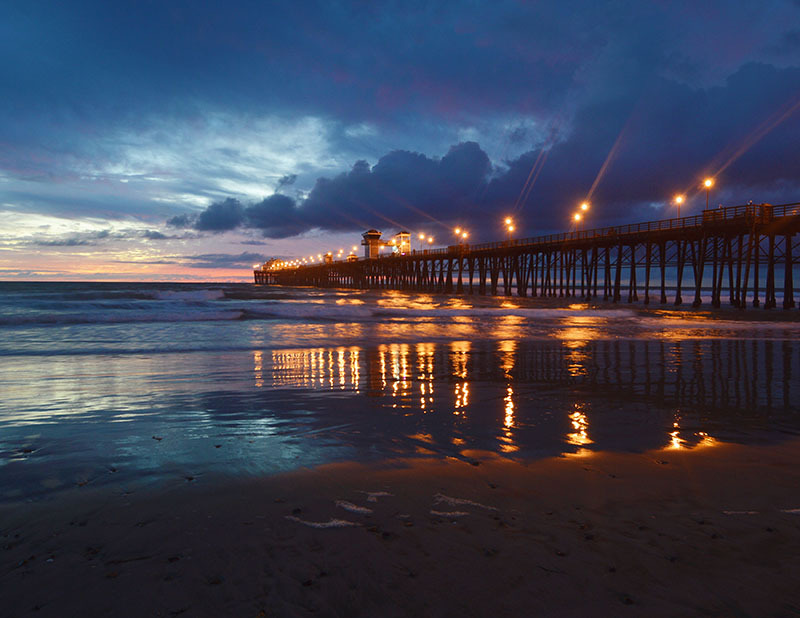 Oceanside Pier, one of the longest piers in California. 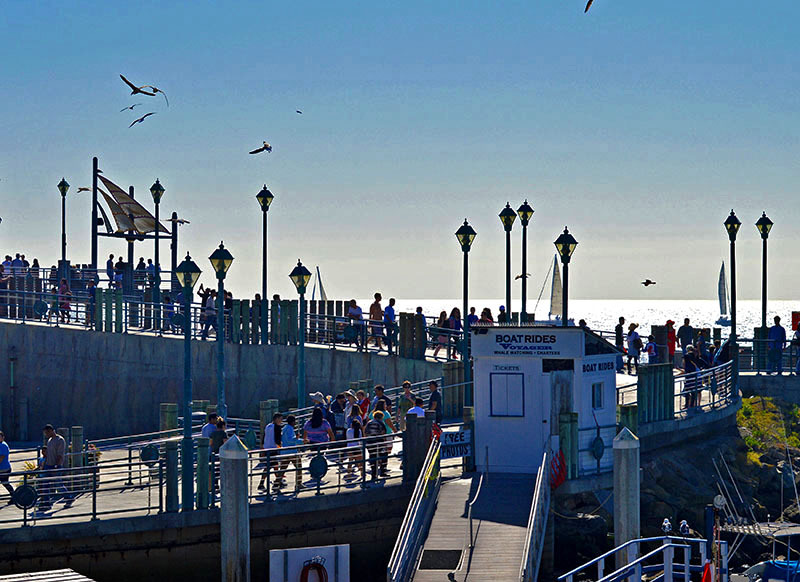 Redondo Beach Pier is another bustling and busy piers. 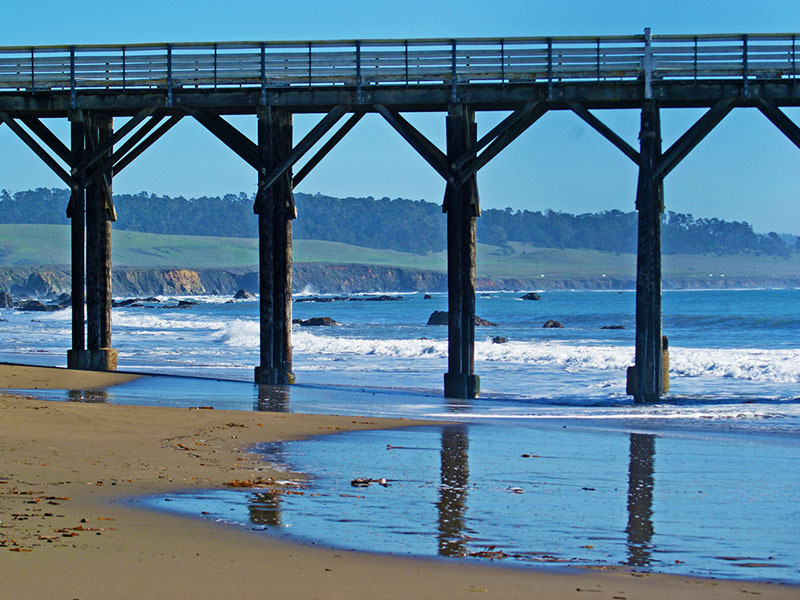 Get away from it all on San Simeon Pier near Hearst Castle. Love this part of the coast. 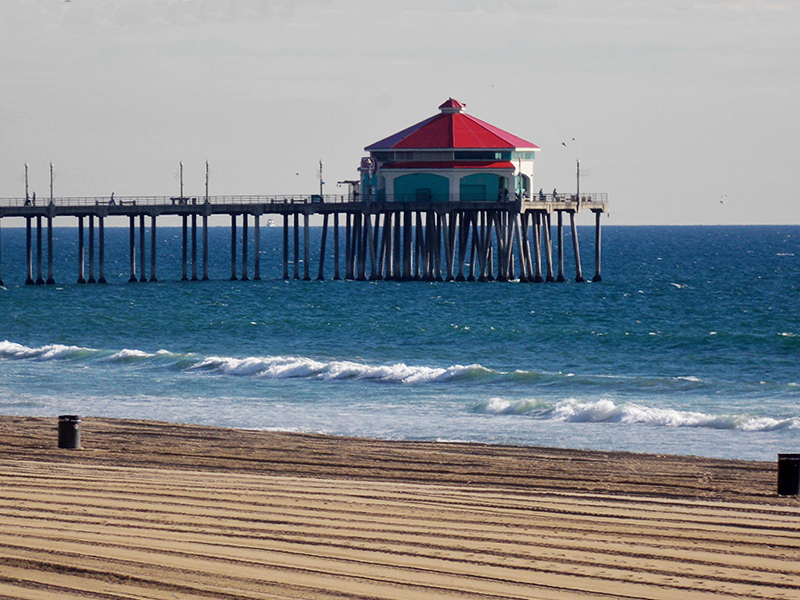 Every size and shape pier can be found in California and other than parking, they are free to visit! From wood to concrete, each pier has its unique feature and shape. 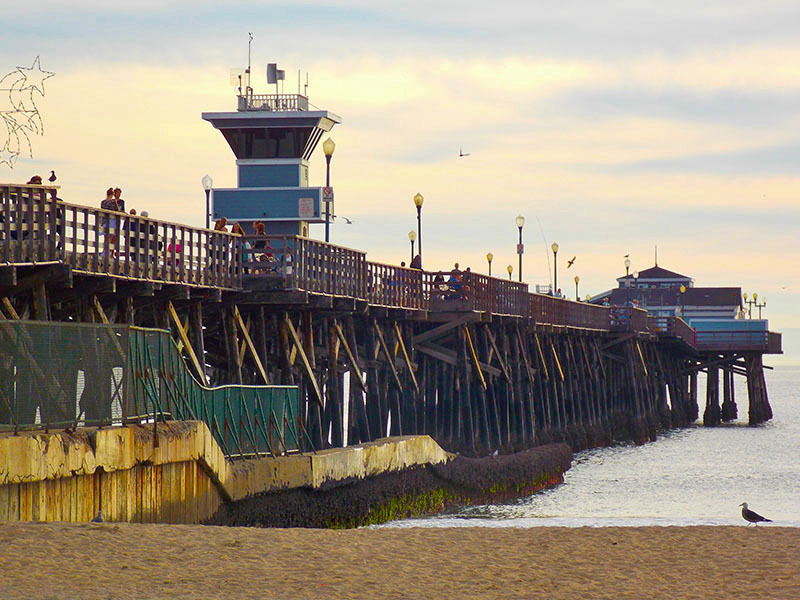 The Santa Monica Pier is by far the busiest with a full amusement park operating on the structure whereas up the road a few hours, not a building can be found on the Port Hueneme Pier near Oxnard. 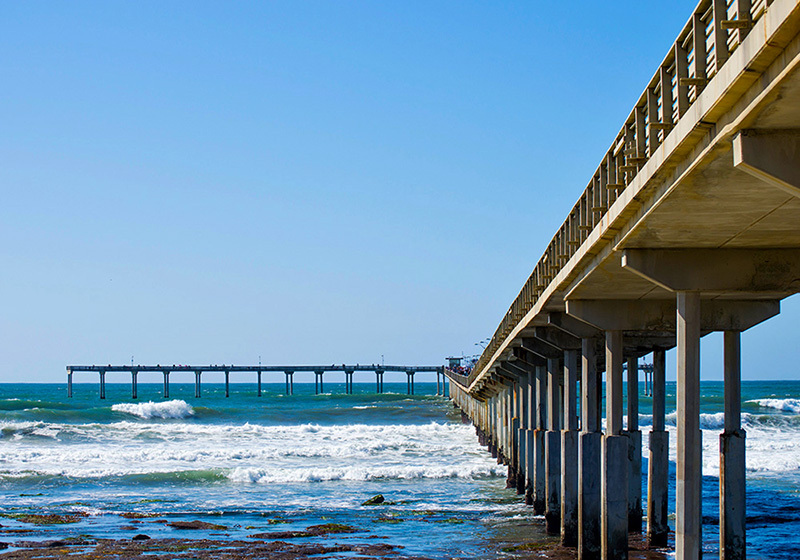 The Ocean Beach Pier in San Diego County is unique as one of only a few concrete piers. This T-shaped pier has a café in the middle and has low spots where you actually feel like you can touch the water. Unfortunately these low spots cause the pier to be closed in high surf. The T-Shaped Ocean Beach Pier. Down the road a few miles you can spend your vacation renting one of many cottages that sit right on top of the Crystal Beach Pier. 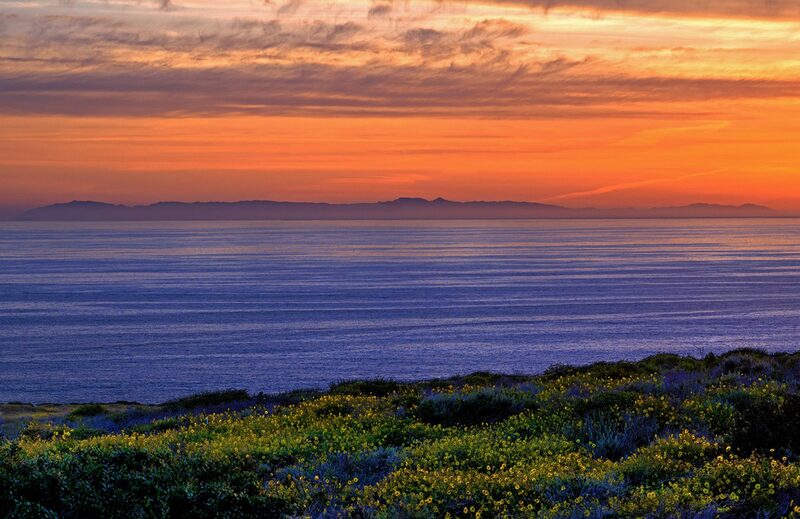 You can walk out the door to your own private patio overlooking the Pacific Ocean. The cottages at Crystal Pier, San Diego. Stroll on a pier at least once this year and enjoy the salt air, the ocean, the beach, the sounds, the food, or the high thrill of a roller coaster. 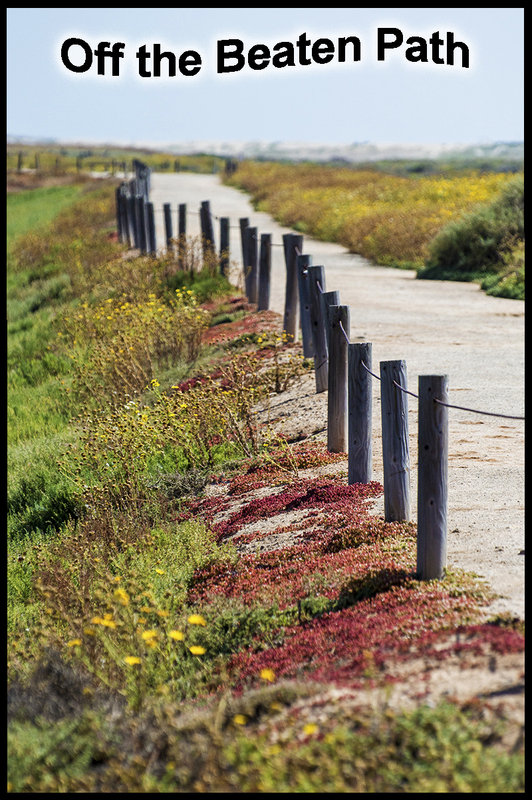 Whatever the pier offers, there is no better place to take a leisurely walk. 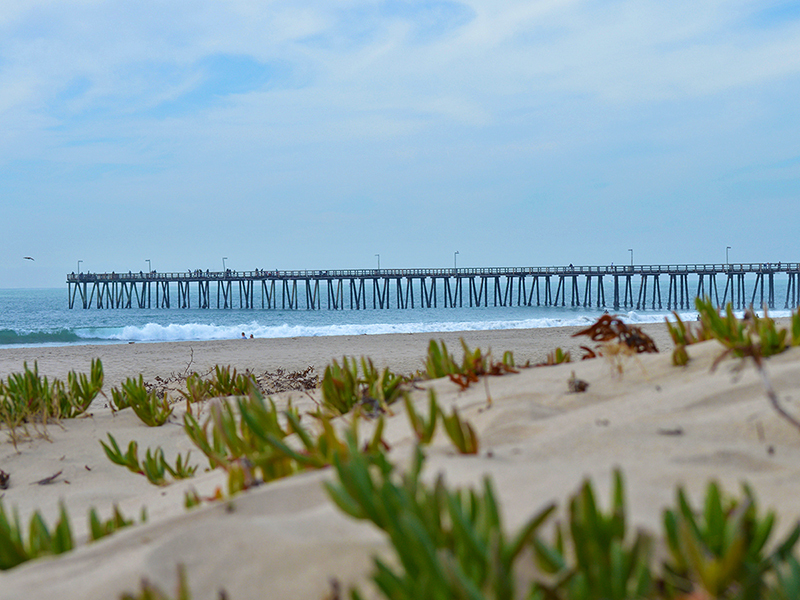 The last pier in California until you hit Mexico. 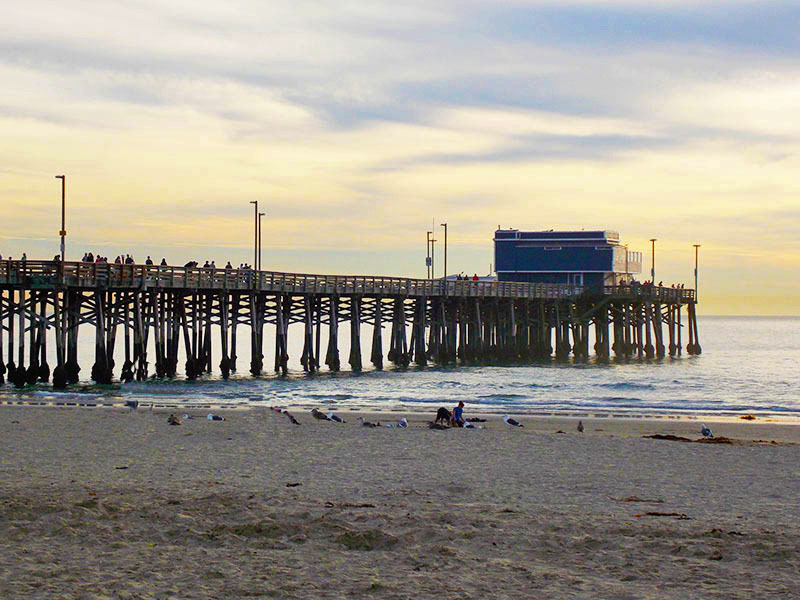 Imperial Beach Pier. 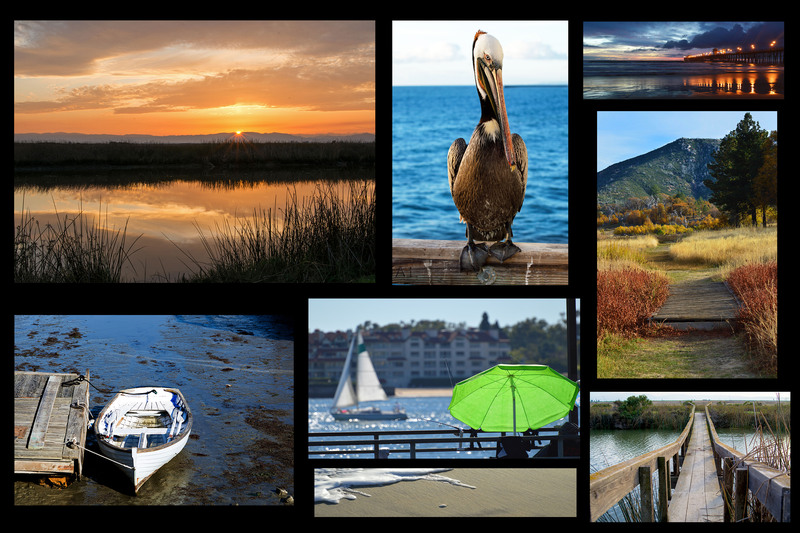 Great pier photos! I love walking above the ocean’s churn and power, smelling the salt, watching the birds, observing patient fishermen, gazing down at surfers, searching the horizon, feeling alive. Me too Richard. Thanks for the comment.